While ex-Mormon-lesbian-atheist Sue-Ann Post has carved out a name for herself as a stand-up comic in Australia, she has been estranged from her family ever since she decided to abandon her Mormon upbringing. When she publicly demanded to be excommunicated from the Mormon church on a national TV talk show, she got what she asked for—leaving her completely ostracized from her Mormon community. 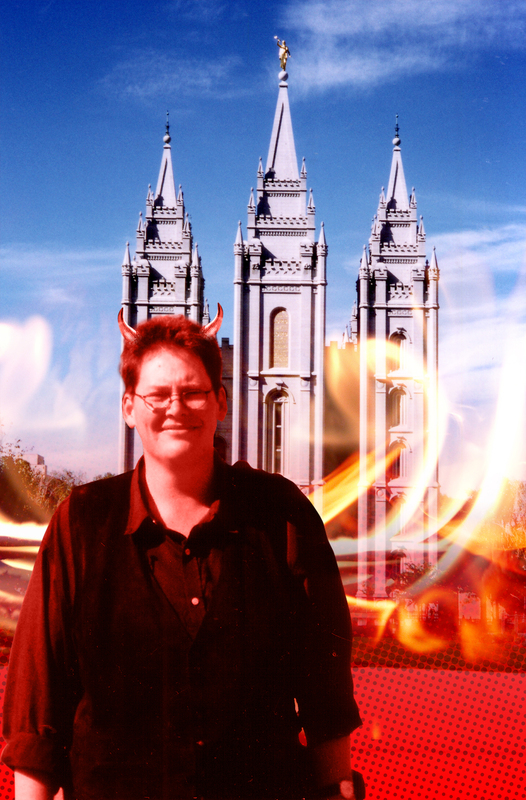 This highly engaging doc follows Post as she journeys to Salt Lake City where she has been invited to speak at the Affirmation Conference—an annual gathering of gay and lesbian Mormons and ex-Mormons who are trying to reconcile their faith with their homosexuality. As cynical as she has become about her former religion, Post finds herself struggling with conflicting emotions that she had buried for years, while realizing that she has finally found her own lost tribe. Hilarious and moving, THE LOST TRIBE offers fascinating insights into the Mormon faith, and reveals the often explosive intersection of sexuality and religion. "3 Stars. Recommended...an engaging and compassionate look at a provocative subject." Dr. Rachel Landers completed a PhD in History at the University of Sydney and a Post-Graduate Directing Diploma at the National Institute of Dramatic Art. Working in theatre after graduation, Rachel then moved into film as a writer/director and producer of drama and documentary. Her films have screened at numerous international festivals, been broadcast all over the world and have won and been nominated for a number of awards. Most recently Rachel made the feature documentary A NORTHERN TOWN nominated for the prestigious UK Grierson Innovation award, a United Nations media award and was a finalist for best documentary in the Dendy's and the Film Critics Circle of Australia. A NORTHERN TOWN, which she also shot, won an AFI for Best Cinematography and the 2009 Premiers History Award and is in competition at FIFO in 2012. Rachel produced the feature documentary THE SNOWMAN, which was selected for competition at IDFA; nominated for an AFI award for Best Feature Documentary and won the Foxtel Australian Documentary Prize. Her last film was the documentary THE INQUISITION screened on the ABC and France 1 and was in competition at FIFO in 2011.